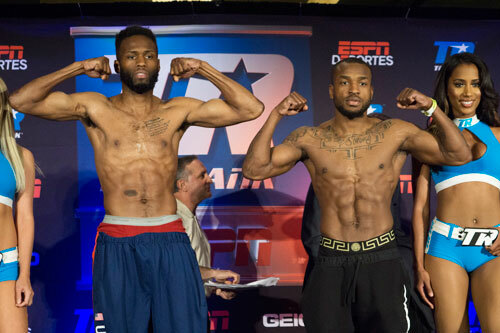 All eighteen participants of Saturday's big boxing weighed in Friday evening at the Grand Ballroom of the Renaissance Philadelphia Airport Hotel. Most eyes were watching to see what kind of condition Joey Dawejko would appear to be in once his shirt was off. Joey stripped down, stepped on the scale and clearly passed the test. As promised, he seems to be in the best condition of his career. His weight was a solid 233 pounds. This is not the lightest he's ever weighed, but that is irrelevant. The story his body told was that of several months of hard work. 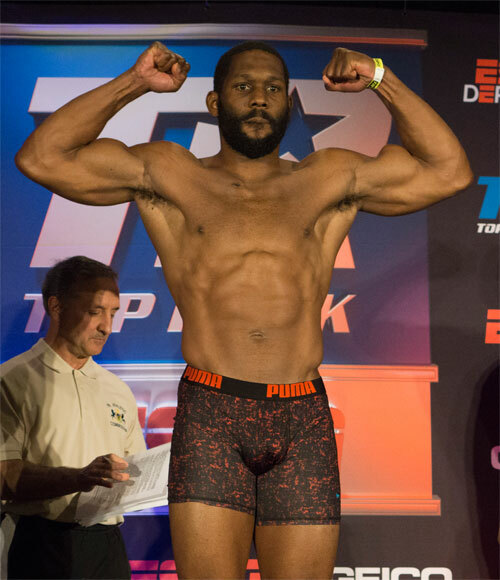 He appears to have done what's necessary to compete at his best with Bryant Jennings. 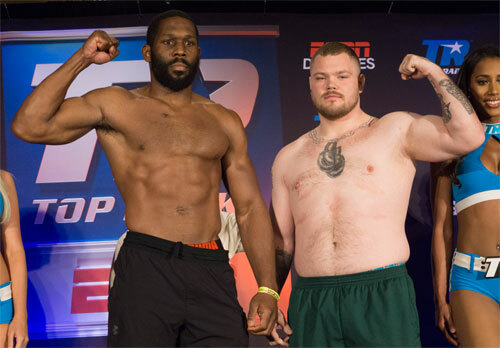 To no one's surprise, Jennings was tempered steel on the scales. His weight of 225.6 was right on target. He's been lighter and heavier, but with Jennings there has yet to be an instance of him not being perfectly prepared. His weight for Dawejko is one pound lighter than it was when he faced Klitschko. So, the most anticipated Philly vs. Philly clash is all set with nothing left to do but ring the bell and start the fight. That will happen just after 7:00 PM on Saturday. 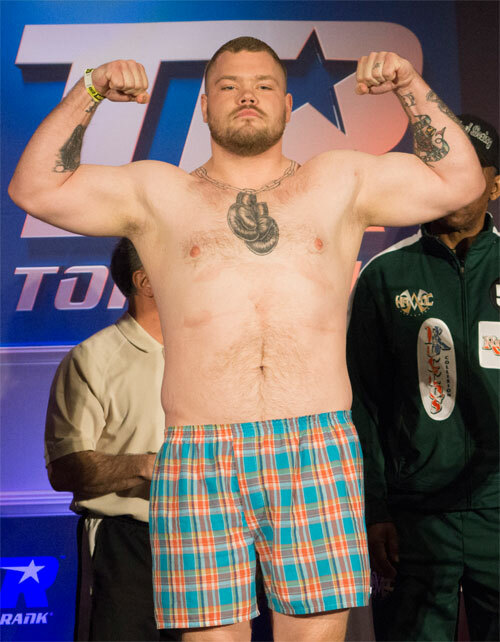 Jesse Hart weighed 167.8. That is a typical weight for him. 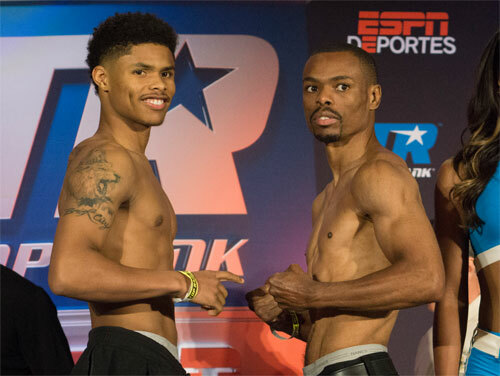 However, Jesse looked super lean, even thin on the scales. He also sported a new chest tattoo of a wolf's head. 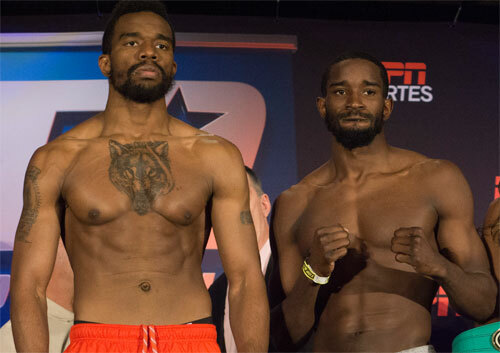 All but two fighters made their required weight. 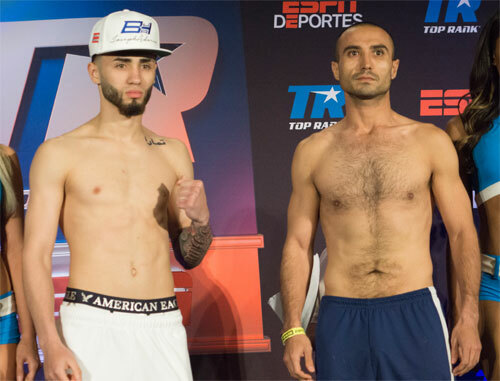 Joseph Adorno came in at 132.6 pounds, about eight ounces over the contracted limit for his bout with Jorge Padron. The Adorno camp did attempt to lose the weight, instead they struck an over the weight deal with his opponents team. Adorno will pay Padron a fine and the two will proceed with their scheduled six rounder. Mohammed Rodriguez came in heavy at 143.6 for his bout with Kent Cruz. Later, after sweating off a few ounces, he hit the scales at a still-high 142.9. Momentarily the bout appeared to be scratched. However, the two camps managed to work out a deal. Rodriguez will also pay a fine to keep the fight on the rails. Everyone else made weight. Here are the full weigh in results. The live show at the Liacouras Center begins at 4:00 PM. 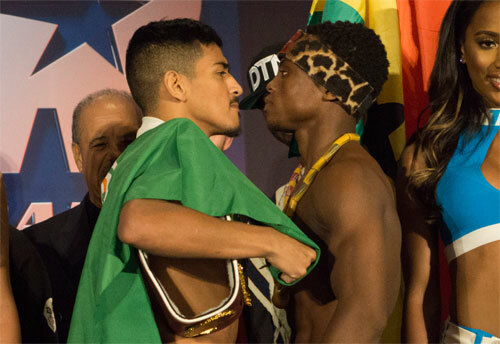 The ESPN telecast starts at 7:00 PM and includes Magdaleno-Dogboe, Hart-Nicholson & Jennings-Dawejko.